Iconic 80s actress and teen sweetheart Molly Ringwald has announced the forthcoming release of her first ever album. The record will include her rendition of the Simple Mind’s smash 'Don't You (Forget About Me)' which featured in her highly popular film ‘The Breakfast Club’. Molly featured in several box office winners during her teens and early 20s including The Pick-Up Artist, For Keeps, Fresh Horses, Betsy's Wedding, Cindy Sherman's Office Killer, Billy Bob Thornton's short film Some Folks Call It a Sling Blade, Jean-Luc Godard's King Lear, and the now-iconic John Hughes' movies Sixteen Candles, Pretty in Pink and The Breakfast Club. 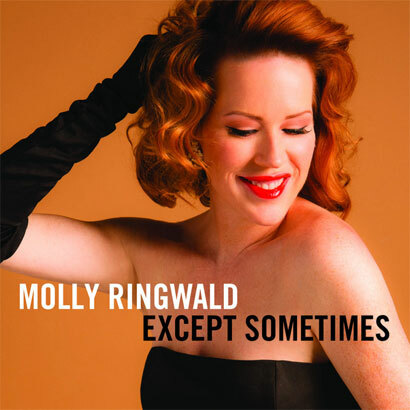 Universal Music will release Molly Ringwald’s 'Except Sometimes' on the 5th of April via Concord Records.